Not yet to reach their first year as a band, alternative rockers Broken Lungs release their debut EP We’re In This Together to inspire firm acclaim and even greater promise for the band ahead. The release may not be the finished article in some ways but stands ahead of a mass of releases from older and more mature bands in quality and melodic prowess. Formed last August the Liverpool quartet of vocalist and guitarist Karl Eginton, lead guitarist Carl Fitzpatrick, alongside Alex Forde and Mark Highdale on bass and drums respectively, have worked hard and with a defined intent in forming and creating a sound which is as strikingly and keenly melodic as it is energised and passionate. The EP released June 11th, marks their first step into the gaze and ears of the UK and it is not too much of a stretch to imagine the band and their melodic rock sounds making a big and deep impression. The release opens with the eager and sure We Stand Tall. The song immediately lays out the melodic skill of Broken Lungs as the guitars light up the senses amongst firm basslines and attentive rhythms. Though the song arguably lacks a bite to match the likes of Foo Fighters who many have compared some aspects of their sound to, the track has an infectiousness which grows as it plays within the ear. Vocalist Eginton has a great smooth voice matching the clean cut melodies of the song and all combined the song is an impressive start to the release. I’m Done With Desperation follows next with a harder rock spine and energy. With a great gravelly bassline the song ripples with a deeper intensity against the sharper and more intrusive melodic patterns elsewhere within the song. Though not as instant as the opener the song shows diversity to the sound of the band and their songwriting strength. Again personally more of a snarl to it would have been welcome but it is hard to place any real criticism at its feet. Next the band brings another assured rock fuelled entry to the release in the shape of Try As I Might. The track is an eager melodic stomp across the ear with more than a tinge of anthemic essence to its breath. It plays with an air of Jimmy Eats World meets Biffy Clyro, teasing the ear with an energetic purpose and emotive slowed down melodic grace. The sound is seemingly familiar which adds to its appeal and captivation, the lure of the song almost siren like. Closing with the more restrained Alleyways and acoustic Lost At Sea, two songs which show the softer elements of the band though they do not quite find the heights of the other tracks, the EP is an impressive debut and a release that marks the band as one to keep a close eye on. The feeling is though that as time passes and the band evolves one will be hearing plenty of and from them without having to look. UK melodic rock looks to be in promising hands led by the impressive Broken Lungs. 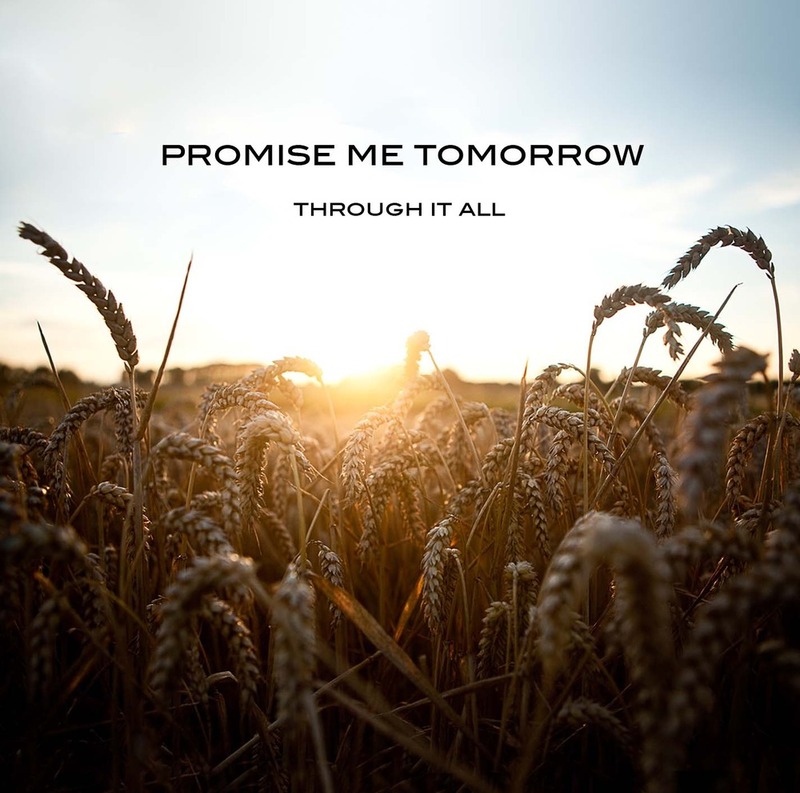 UK pop punk/rock band Promise Me Tomorrow have steadily made a growing impression on the British rock scene with their eager and well formed melody veined songs and hard work attitude. January 23rd sees the release of their mini-album Through It All and their next step to bigger and more expansive things. Complete with boundless energy and vibrant songs the release offers up Promise Me Tomorrow as the next band top challenge to the leading pop rock bands currently gracing the UK and already ahead of a great many others. From Kent and formed early 2010 the band has already made great strides with their clean cut up-beat sounds tinged with essences of punk capturing some national airplay and sharing stages with the likes of Army of Freshmen, Pegasus Bridge, Francesqa, Paige, Summerlin and Jody has a Hitlist, and The Morning Of. 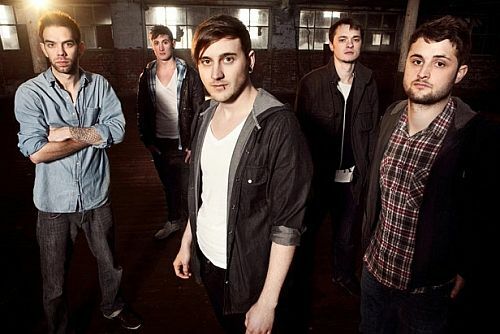 The same year saw the band release their debut EP This Picture, A Memory but it was 2011 and the single ‘You Haven’t Seen The Best Of Me’ with its video that saw the band made a deeper mark and draw firmer attention, something the new release will reinforce and enhance. Through It All is a strong solidly rounded album though it is not until halfway it really ignites. Throughout it offers well crafted melodies with infectious hooks and fluid harmonies that cruise around the ear with keen exuberance. Opening with the instant accessibility of ‘More Than You Know’ the band shows themselves to lie somewhere between the likes of You Me At Six, Kids In Glass Houses and Jimmy Eats World though they do not quite find the irresistible elements of the latter’s best songs yet. The group harmonies here and throughout are a strong feature to thoroughly compliment the impressively composed and crafted melodies. The guitars weave strong patterns to ensure attention to their creative strolls whilst the rhythms and basslines steer tracks firmly without demanding total compliance allowing the songs to flow with ease. 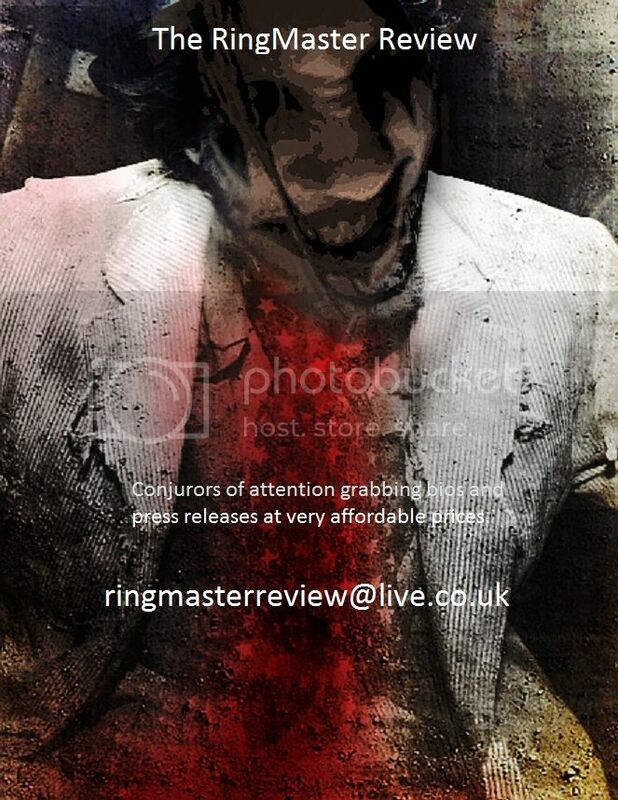 Vocalist Craig Lawrence has a good control and with only a wish for tracks to occasionally add roughened up vocals and growls the delivery brings a willing bond to the sounds. The previously mentioned single is included and it is obvious as to why it opened up more and more to the band’s music with it’s willing to please hunger and excited urgency. Along with the opener these tracks seem to be the lead ones to bring people into the release but as fine as they are it is the likes of ‘For All The Wrong Reasons’ and ‘All Or Nothing’ that raise the levels a notable notch. The first starts on a light opening that brings queries about whether it is going to have anything special about it to enthral. The group harmonies around the chorus soon dispel doubts and the track swells with lingering melodies. The second of the two attaches to the ear with a punk fused greediness and intensity. It never dips into real aggression but shows the band can be enthused in attitude as well as any pop punk band and is the highlight of the release plus the provocation to want more harshness added vocally to some tracks. It is fair to say Promise Me Tomorrow are still searching for their distinctly own sound but with the songs mentioned added to by the strong creative showings of ‘Go Get ‘Em Kid’ and ‘Knockbacks & Heart Attacks’ they are well on their way and already a satisfying addition to any eager energetic melody seeking playlist.